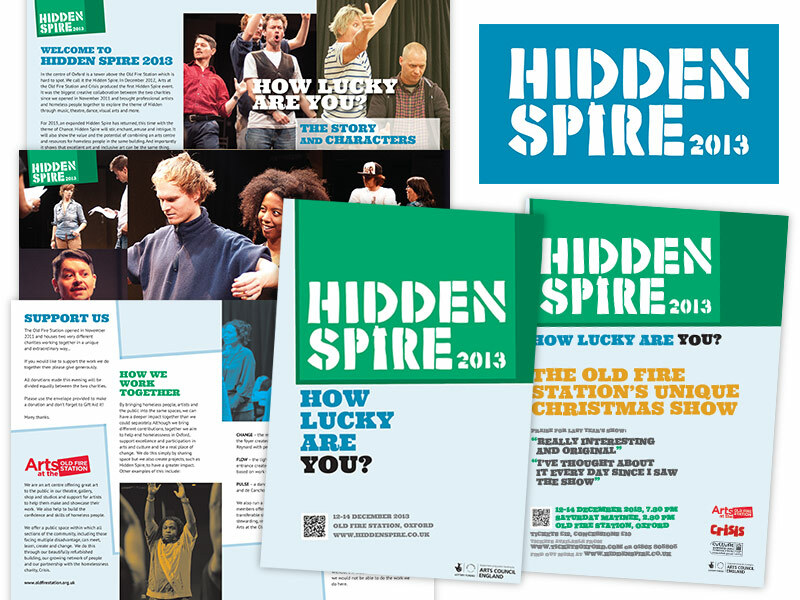 Hidden Spire is an annual event coordinated by Arts at the Old Fire Station and Crisis Skylight Oxford, two Oxford-based charity organisations, to bring professional artists and homeless people together through music, theatre, dance and visual arts. For 2013 I worked with Arts at the Old Fire Station, who coordinated the event, to create a logo design, branding guidelines and a series of posters, programmes and supporting materials. Based around the concept of 'How Lucky Are You? ', the event took the form of the development and presentation of performances over four nights.